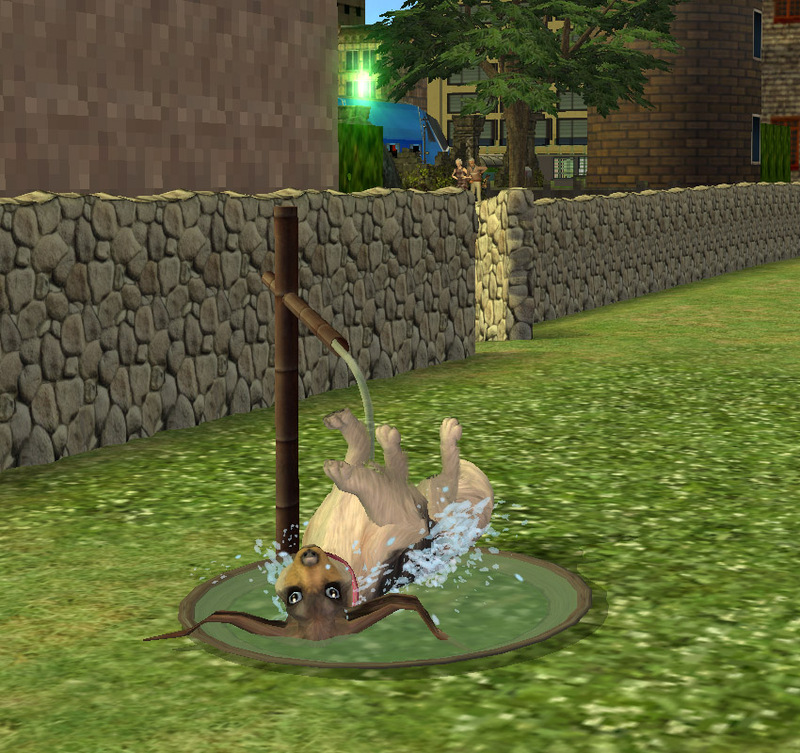 These are the batheable fountains. They are autonomous, recolorable and animated. They should be Base Game, but as I'm not sure if it will work for everybody, I established AL as requirement. It is not addictive and kids and dogs must be really low in hygiene to use. It doesn't have yo-yo effect, they enter the fountain, bathe and exit when they are clean enough. You can also command them to bathe, but if you don't get any interaction, is because they are not dirty enough. You can also stop the interaction if you want to bathe them self. The last fountain, based on the Euro Ornate, is an experiment. The animations are not perfect and the falling water looks much more to a transparent curtain, but don't ask about game effects. 1st, EA's effects are not seen from the neighbor (something that I Require) and 2nd, they need a container slot for FX and an extra container slot for holding a sim. 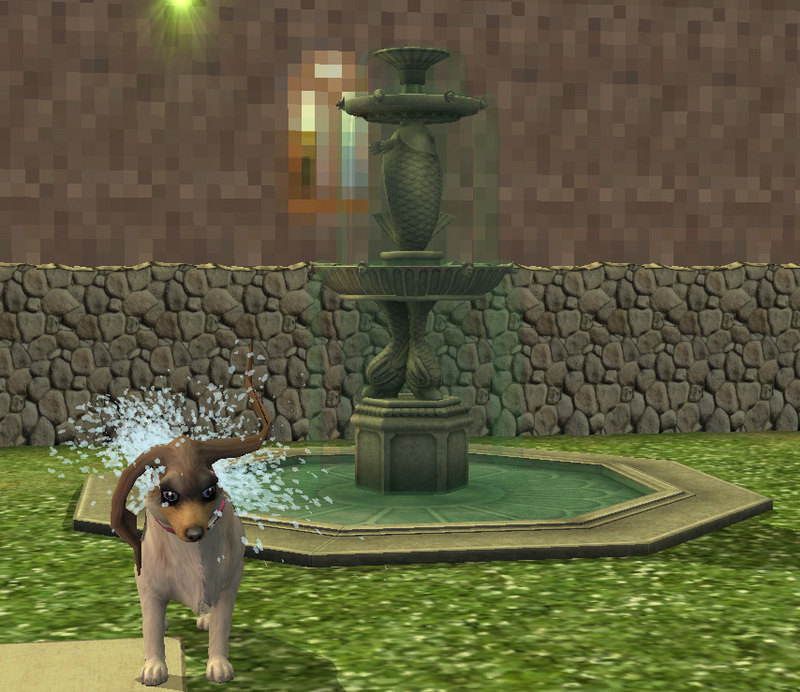 This is in fact a puddle, turned into a fountain and game puddles are either recolorable or have any container slots. So, such a request is at the moment, impossible. If you don't like the fountain the way it is, well, do not download it. vertices 4442, faces 6693 (high poly as the original). I used Simpe, Milkshape and Photoshop 7 to make this object. Thanks JB for his bamboo fountain that the spring is based on.